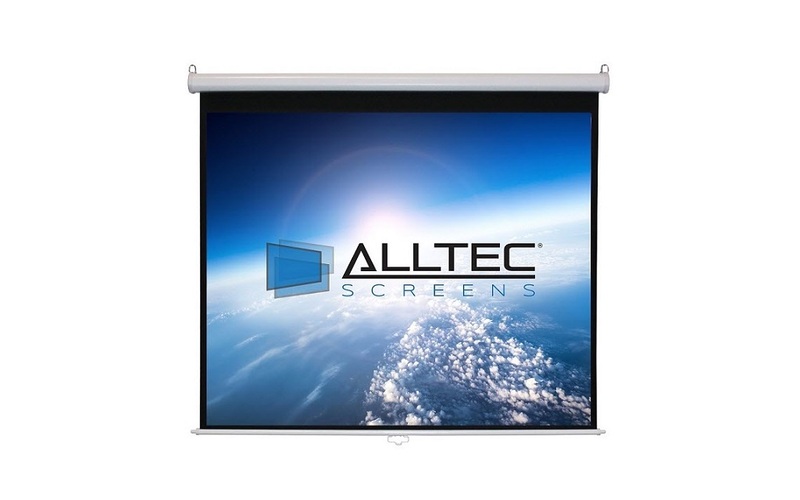 The Alltec Screens Manual pull down wall or ceiling mounted projection screen is perfect for Classrooms, Conference Rooms and inexpensive DIY Home Theater applications. 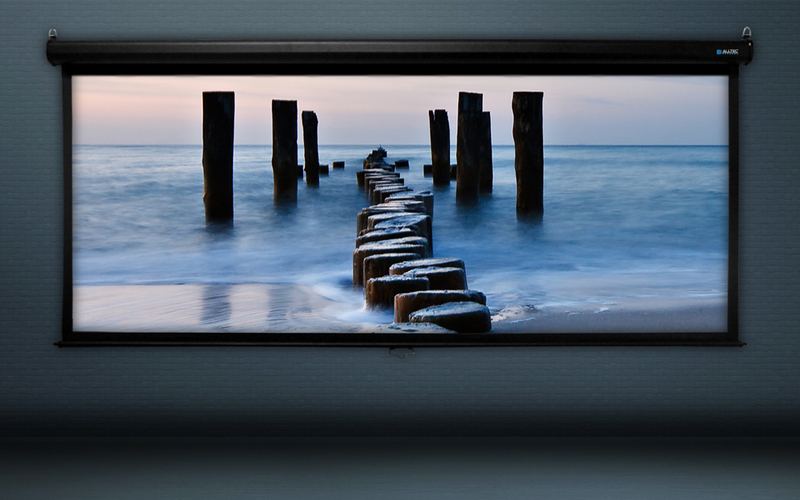 The Alltec Manual projector screen is a great alternative to an electric projection screen, at a fraction of the cost. Simple and reliable, this screen offers a rugged and efficient projection solution for rigorous daily use, at a very affordable price. 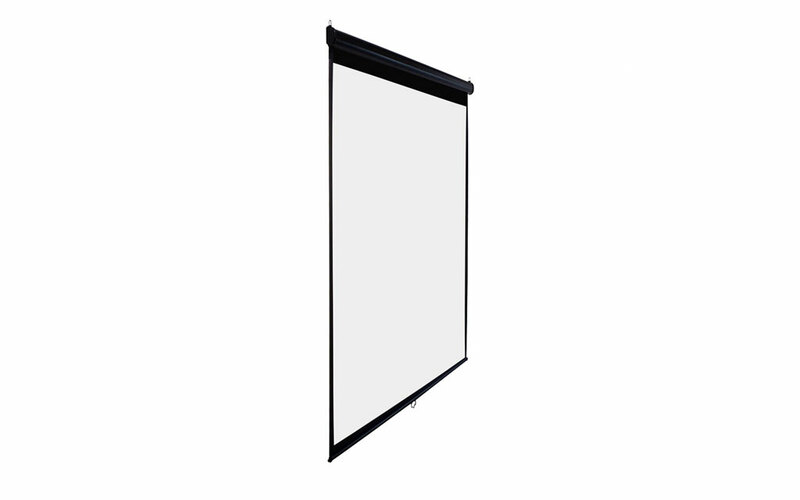 The Alltec Manual Projector Screen is designed to operate just like a standard window shade, revealed by simply pulling the handle(or pull cord) down and retracting with the same ease. The screen is height adjustable, using a stop-start feature, that allows the user to lower it to any desired height to accommodate different projection sources and formats. 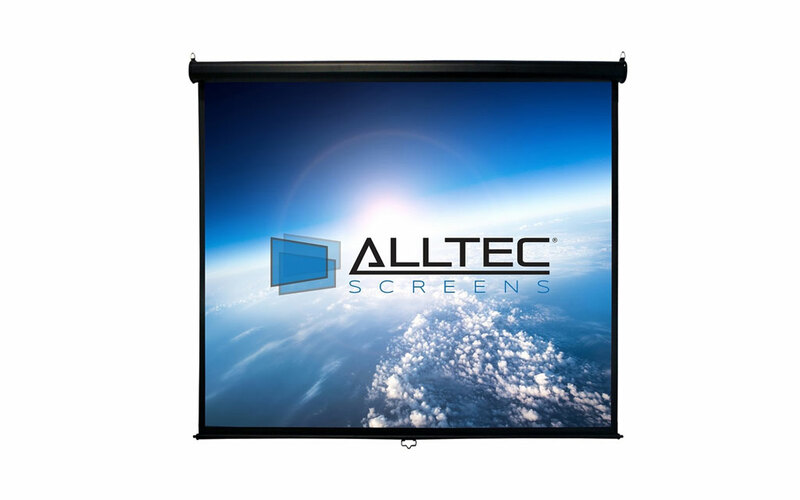 The Alltec Manual screen is constructed with a durable octagonal Steel casing and spring roller mechanism, for a reliably smooth rolling and retracting of the projection screen fabric. The attractive white or black powder coated exterior will blend into any rooms decor, while wall mounting brackets are available to purchase separately, if additional space is required from the wall or ceiling surface. 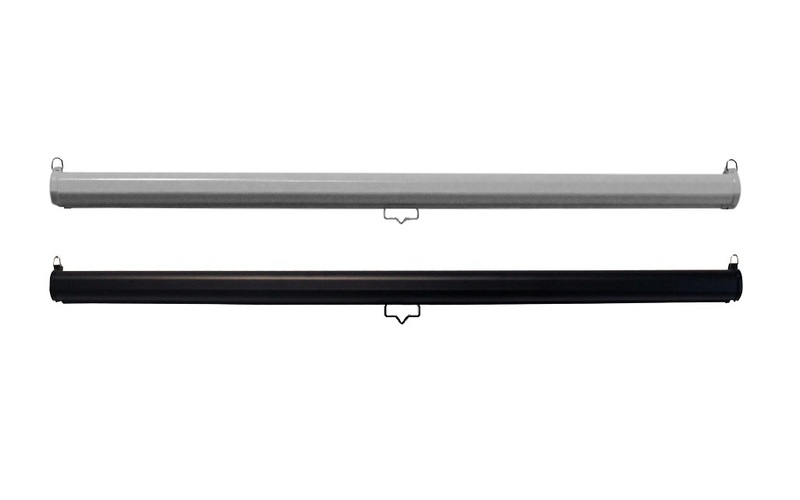 In additional to the typical handle, a pull cord is included to make reaching for higher installations a little easier.